For people who have a passion for gardening, one of the most important things for them is the selection of the right garden hose. A garden hose is not only used to plant waters but it also has many other uses as well. It is often seen users struggling with tangled hoses. Keeping that in mind we have prepared a list of hoses with which you do not have to face any such problem. With the help of a good quality garden hose your task becomes much easier. If you are planning to buy a new garden hose then you should definitely give this article a read. Since there are a lot of options available in the market, it is quite natural to get confused. In order to help you out we have listed 5 of the best garden hoses that you can go for. We have listed products for all budget ranges so that you can have options to choose from. The details of the products are listed below which will give you a good idea about each of the hose. 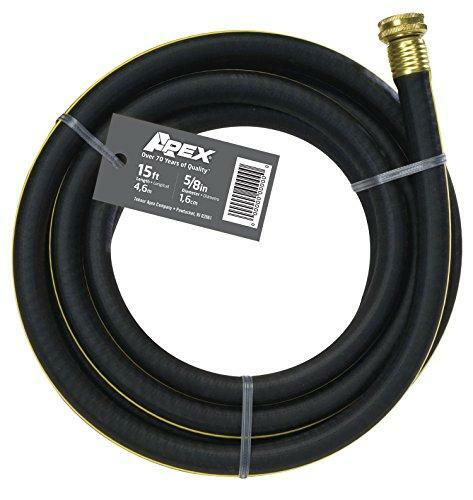 Xpandal Hose: This is the overall best garden hose that is currently available in the market. The best thing about Xpandal hose is that it comes with a unique coiled design that avoids any kind of frustrating experiences that are usually faced by users. The hose is 75 feet and is made of latex which naturally coils when it is not in use. This makes it easier for you to store it without a coiler. The latex core of the hose also stretches when water is pumped. It automatically untangles and straightens itself without you having to put in any effort. The hose is also packed with a 10 setting nozzle which allows you to clean your furniture, water your plants and do more outside. In short, it can be said that this is one of the best garden hoses that you can get for yourself. 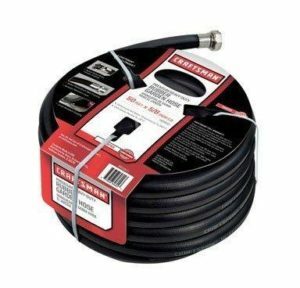 Craftsman Premium: This is perhaps the only garden hose that has been designed for all weather use. If you are looking for pure durability then this could be the ideal option for you. When it comes to durability it is hard to beat the Craftsman Premium. The hose is designed for all whether it is actually very durable. The radial rubber matrix lining is the reason why the hose is so durable. The extra rubber fitted in the hose is what keeps the hose going throughout the year. Starting from chilly winters to hot water up to 160 degrees it can withstand anything. 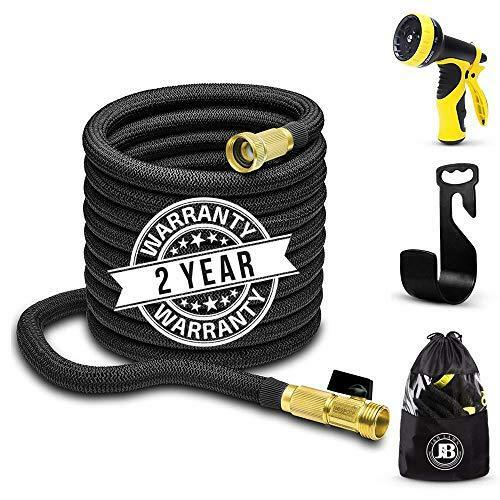 The hose is also designed to handle rougher yards. So if you have sharp edges like stones and rocks you need not worry about any of that as this 50 feet long hose can take care of everything. The hose can also withstand pressure up to 500 PSI which makes it the perfect choice for the users. When it comes to cleaning the driveway, watering the garden and flushing pipes, this hose can come in really handy. 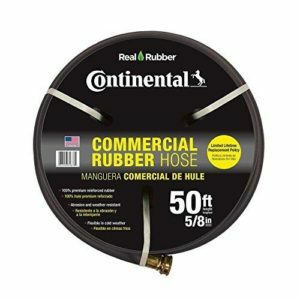 Continental ConiTech Premium: With 5o foot rubber tubing this is perhaps one of the best quality garden hoses that you can find in the market. The hose may not be that long but it can still get your work done efficiently. This particular hose is known for its durability. Users are satisfied with the long lasting quality of the hose. 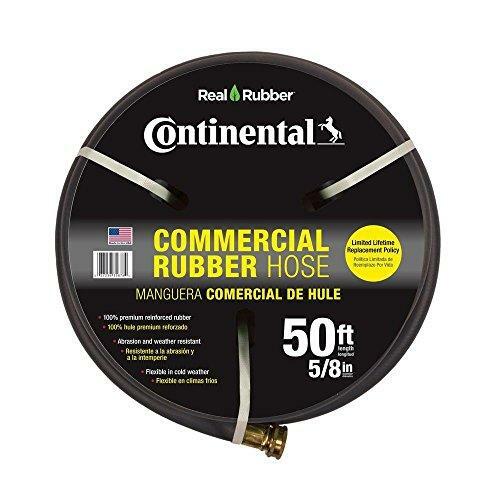 The hose comes with a professional quality that is 5/8 in diameter and has a thick rubber lining. The thickness of the hose makes it kink and abrasion resistant. The brass fittings that are providing with the hose are also made crushproof and therefore, you do not have to worry about deforming the end of the hose. If you are looking for an efficient and long-lasting garden hose then this could be the ideal choice for you. Apex REM 15: The next best product on our list is the Apex REM 15. This is a budget-friendly hose but still provides you with an excellent performance. If you have a small garden then this 15 feet long hose can serve to be the best choice for you. The hose is small in size and also easy to use. Since the hose is only 15 feet in length you can easily store it when not in use. However, this hose should not be used for more abrasive and heavier outdoor use especially around typical yards. The fact that the hose is small in size it is meant for only deck or porch garden use. With the help of this hose you can water your plants easily. The length of the hose makes it perfect for using with dehumidifiers and pumps inside the house. Orbit 27890: The next on the list of the best garden hoses, we have the Orbit 27890. This is yet another great hose that is currently available in the market. This hose serves to be the best option for people who do not have enough storage space. This is also an ideal choice for users who do not have the option of mounting a proper coiler in their yard. The coiled design of the hose prevents it from leaks and kinks. 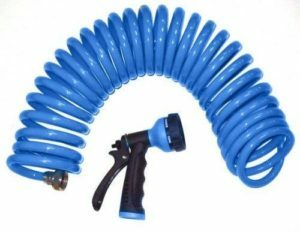 The hose is equipped with a six pattern sprayer which is perfect for common yard watering tasks. With the help of the rear pistol trigger you can adjust the pressure from the head of the hose. Thus, you will be able to better control the force so that you can clean surfaces and water your plants easily. So, These are some of the best garden hoses that you can get in the market. Each of the hose listed is made with high-quality material which makes them strong and durable. If you are planning to get a garden hose for yourself then you can choose any of the mentioned ones in this article.